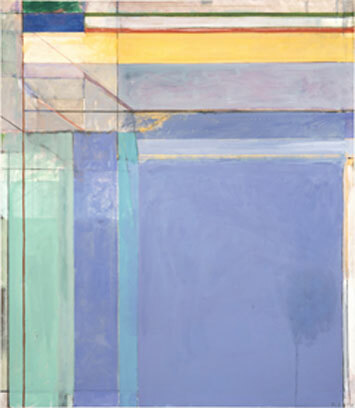 Richard Clifford Diebenkorn, Jr. was born in Portland, Oregon in April 1922. At the age of two, his father decided to relocate the family so San Francisco. 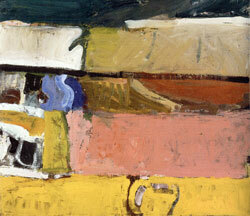 Diebenkorn attended Lowell High School and then entered Stanford University. 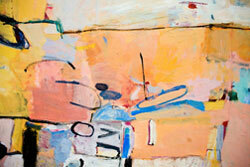 There, Diebenkorn focused in studio art and art history. Under the guidance of Daniel Mendelowitz, he saw work by famous artists like Pablo Picasso, and Henri Matisse. This exposed him to European modernism and opened doors that would influence him in the future. At the age of twenty-one, Diebenkorn was serving as a U.S. Marine. While he was stationed in Virginia, he got the chance to visit a number of collections of modern art. After looking at all the art, he decided to make create some art of his own. Diebenkorn experimented with watercolor as well as representational sketches.